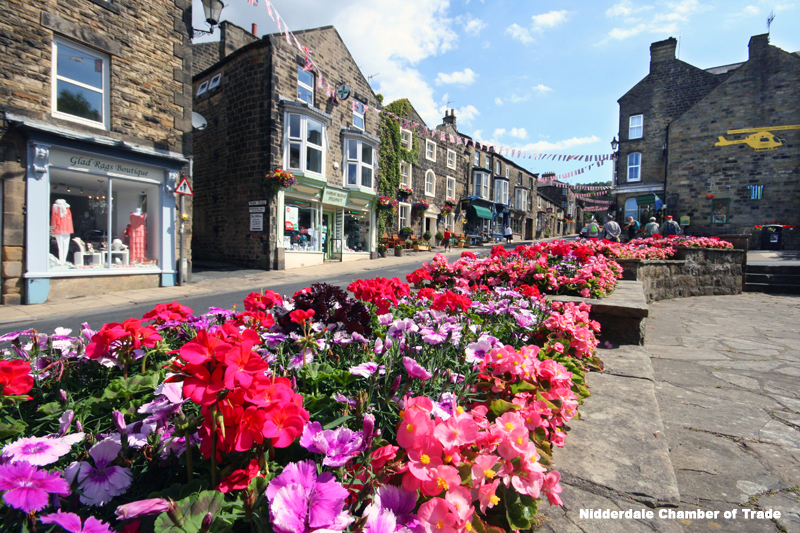 Pateley Bridge – On BBC2 Britain In Bloom! 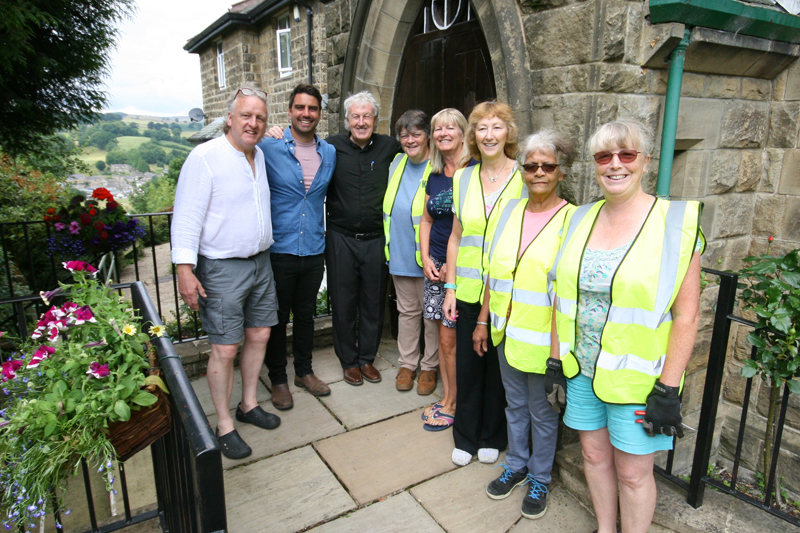 In 2018, the Pateley Bridge in Bloom group were filmed by a production company for the second series of the BBC2 TV programme Britain In Bloom. See the programme at 6.30pm on Monday 25th March on BBC2 to see if Pateley Bridge won Gold in the Yorkshire In Bloom competition! 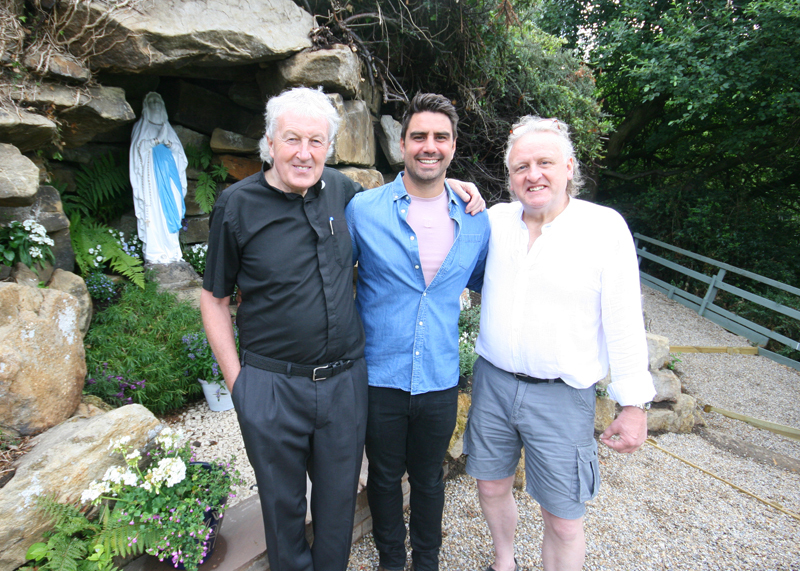 Chris Bavin heads to the heart of the Yorkshire Dales to meet the Pateley Bridge Bloomers, who are determined to save their local high street after it was affected by dwindling tourist numbers. This is only their second time competing in Britain in Bloom. Last year they won a silver gilt but this year they are adding a touch of razzamatazz to attract new visitors and win their first ever gold award. Firstly, the whole community are needed to strip back the undergrowth in a forgotten public grotto at the church. Next, local business owners transform an old air raid shelter at the bottom of the high street into a show-stopping display. 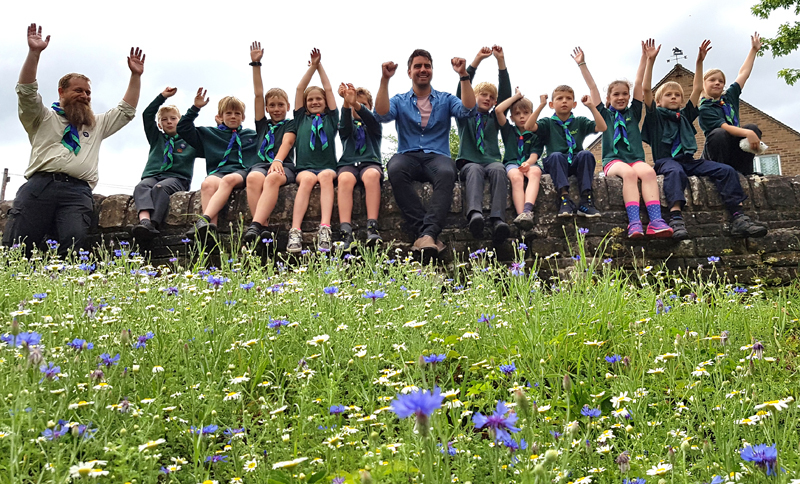 Finally, the team plant a spectacular wildflower garden under the bridge at the entrance to the village, with the help of local children from the Cubs. This being Pateley Bridge, everything is supersized, but will it impress the judges?